For over a decade, Custom Exhaust & Brakes, Inc. has been the trusted auto repair shop in Asheville, NC for customers requiring everything from basic oil changes to full-on brake replacement. 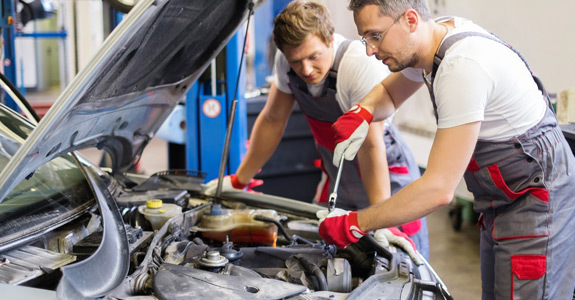 With ASE-certified technicians on staff and an A+ rating from the BBB, our customers can always trust us for reliable auto repair service in Asheville, NC. 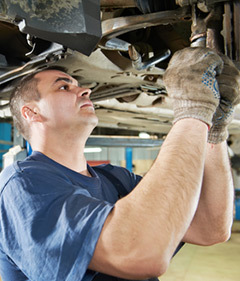 Specializing in muffler and exhaust work and brake changes in Asheville, NC, Custom Exhaust & Brakes, Inc. is known for its tireless commitment to getting to the root of any automotive problems our customers are facing. We’ll fix the most difficult problems with care and precision, but that doesn’t mean we won’t also handle simple auto repairs. In fact, our customers love that they can count on receiving high quality work, even for standard oil changes in Asheville, NC! Next time your car seems to be telling you it needs a good mechanic in Asheville, NC, drive it over to Custom Exhaust & Brakes, Inc. for the service it needs. We’re committed to offering oil changes, towing service and brake repair in Asheville, NC for competitive and transparent rates, and will always do our very best to ensure your vehicle receives the highest level of care. Call us at 828-252-5744 to schedule an appointment, or just come in and see one of our mechanics in Asheville, NC for the care your vehicle needs!